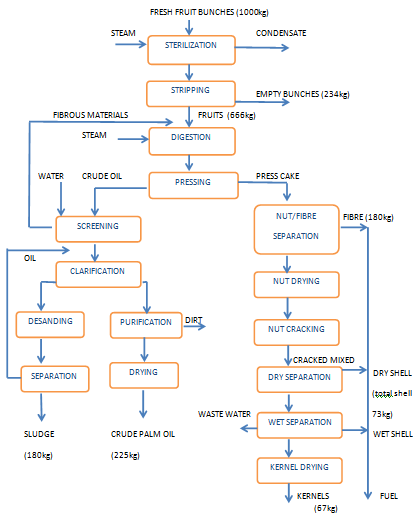 When we come up with a plan to upgrade edible oil mill plant, the first thing we try to do is updating the edible oil production process. With no need to duplicate existing facilities, one can enjoy savings in capital outlay. One can count on the cost of upgrading being substantially less than the cost of procuring a completely new plant. In theory, most of the existing equipment will be expanded to less capacity. But after careful study of the cost-benefit analysis we recommend upgrading edible oil production process for best overall results against the capital outlay. Ideally, state of the art equipment is incorporated to make the existing plant operate with efficiency similar to a totally new plant. The unique KMEC bleaching system gently removes residual phosphatides, metals, soaps and oxidation products in addition to colouring matters. The feedstock is heated up in the Crude/Neutral Oil Economiser or Crude/Neutral Oil Heater to degumming or bleaching temperature. 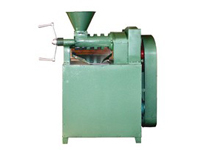 When there is a need for acid pretreatment, phosphoric acid is mixed vigorously with the oil in a Acid Mixer to ensure efficient mixing. The resultant mixture is than held in a Retention Tank to allow for the precipitation of gums before going to the Bleacher through the cascade vacuum dryer. When acid pre-treatment is not required , the feed stock is fed directly to the Bleacher after heating through the cascade vacuum dryer. Bleaching Earth and Activated carbon is added to the oil through a dosing unit which is controlled by PLC. The Bleacher is proprietary designed with internal partitions and set of high efficiency turbine agitators to avoid short cycling and provide necessary retention time before filtration. 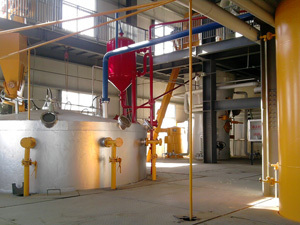 The conjunction of vacuum dryer with a Bleacher is what is unique about bleaching whereby oil going to the Bleacher is thoroughly dried and deaerated in the cascade vacuum dryer besides the fugitive particles from the Bleacher are countercurrently scrubbed by the downcoming oil and hence bleaching earth going to the hotwell is avoided. The bleached oil from the Pressure Leaf Filters is transferred to the Bleached oil tank for intermediate storage. You are welcomed to send us email to get support from us! We are always ready to serve you!